1 HWB and CCG Group - working to influence the Health and Wellbeing Board and the Clinical Commissioning Board and Overview and Scrutiny Committee of Brighton and Hove Council. 2 Primary Care Group - raising issues of concern about Primary Care and General Practices in Brighton and Hove. 3 Health Workers in Brighton and Hove. 4 Stalls - sharing information and recruiting members. 8 STP - Sustainability and Transformation Plan Group. 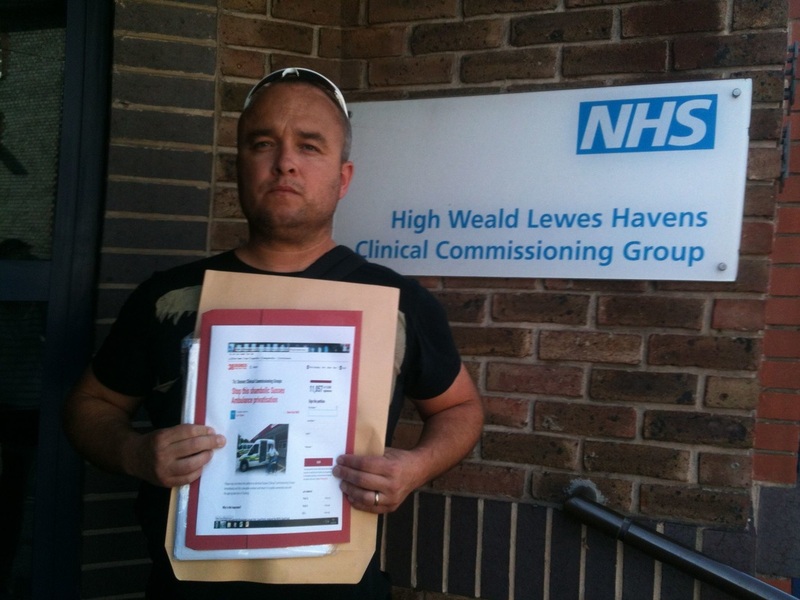 A petition signed by over 12,000 people from across Sussex was handed in to the lead Clinical Commissioning Group responsible for the ongoing chaos in the Patient Transport Service. She says "The principle of the STP is sound”. Then criticises it as not having enough money. Lots ideas of what to do. Maybe STP itself is not problem. Its the health and Social Care Act 2012 that is. “Don’t let old-style contracting hinder your STPs, leaders told” Anyone else read this as a contracting free for all (with all those vultures waiting in the wings)?